A roof plays an important roof in the appearance of a building. What are the Dangers of Having a Broken Roof? A roof plays an important roof in the appearance of a building. The first thing people notice when they visit a building is the roof. If you want to sell your home, a broken roof turns off most potential buyers. Also, a broken roof brings down the value of a home. If you do not want to sell your home, do not neglect your roof. 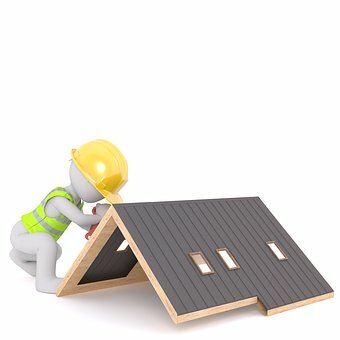 In fact, it is easy to repair a roof. So, do the necessary repairs because a roof protects your belongings inside your home, it protects your family from various diseases, it improves the curb appeal of your home, and it protects your home. If you have a broken roof, it will leak. A leaking roof damages the attic, and the items that are stored in the attic. If you do not have an attic, it damages the interior ceiling. You will see the ceiling paint darkening. And the ceiling plaster will bubble and expand. Also, the leaking water damages plaster and the paint on nearby walls. If you have ceiling-mounted lights and fans, the leaking damage will damage them too. If you have a broken roof, it can lead to flooding, especially during heavy downpours. Flooding damages everything inside your house. In fact, you may not stay in your house for several weeks or even months. Why? Because it takes weeks or even months to repair a flooded house. And these repairs cost thousands of dollars. If you want to minimize the risk of flooding, repair your roof. Most broken roofs contain loose tiles. Loose tiles slip and fall onto the ground below. These falling tiles can injure someone below. And they can damage some parts of your house such as your brickwork or windows. If you do not replace the loose tiles, they can injure a member of your family, especially when they are walking in the front yard. If you have a tiled roof, inspect it regularly. And replace the loose tiles. Asbestos is used as an insulating material. It was mostly used in the past. However, if you are exposed to asbestos, it can lead to cancer and other health issues. If you have an old house that has a damaged roof, it may lead to exposure to asbestos. By the way, if you are living in an old home, call a specialist to inspect your roof. If the specialist finds asbestos on your roof, tell the specialist to remove it from your home. Having a damaged food can lead to electrical faults. When it rains, water seeps through the cracks. The water interferes with electrical wiring in your home. A mixture of water and electricity is fatal because pure water is a good conductor of electricity. If you step on this water, you may get electrocuted. If there are damaged wiring in your home, call an electrician to repair it. The repairs can save someone’s life. You now know the dangers of having a broken roof. Me and My Roof Obsession !